class="post-template-default single single-post postid-336775 single-format-standard group-blog masthead-fixed full-width singular wpb-js-composer js-comp-ver-5.7 vc_responsive"
We are proud that the summit is attracting companies both directly and indirectly related to the ethanol industry, including organizations that focus on air quality and environmental compliance. Safety professionals from across the state will gather in Kearney, Nebraska, for the 14th annual Environment, Health and Safety Summit Friday, September 28. The daylong summit presented by the Nebraska Ethanol Board will feature speakers from agencies and organizations across the country, including the Nebraska Department of Environmental Quality, Air Regulations Consultants, NAQS Environmental Experts and Pinnacle Engineering. 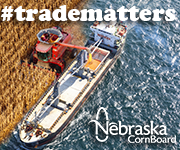 To organize and put on the summit, the Nebraska Ethanol Board works with a variety of private partners and ethanol plant personnel that focus on compliance, worker safety and public health issues. College students are invited to attend and may qualify for a scholarship to waive the registration fee. 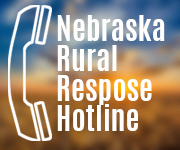 The event is presented in cooperation with Renewable Fuels Nebraska and the Nebraska Ethanol Industry Coalition, and is open to professionals who work in environmental compliance, worker safety, and processing and manufacturing. For registration details, contact the Nebraska Ethanol Board at 402-471-2941 or visit www.ethanol.nebraska.gov/wordpress/events/ehs-summit/.